Waterberg FET College is one of the 50 Public FET Colleges in South Africa. The College lives the slogan: ‘Together ensuring success’. Waterberg FET College will strive to exceed the expectations of all the Customers, with the aim of attaining excellence in aspects of training provision. The College undertakes to continuously improve all the training services and programmes that are provided to satisfy the Customer's needs. Its vision is to be the Leader in the provision of quality learning and marketable skills. 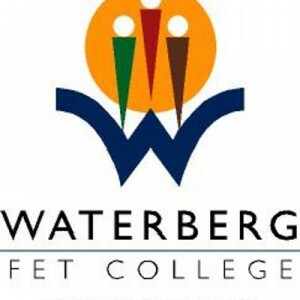 Waterberg FET College is one of the 50 Public FET Colleges in South Africa. Waterberg FET College will strive to exceed the expectations of all the Customers, with the aim of attaining excellence in aspects of training provision. The College undertakes to continuously improve all the training services and programmes that are provided to satisfy the Customer's needs. The College will proved a framework for Quality Improvement that incorporates transparent processes of planning, evaluation and review. The College will obtain this through the setting of quality objectives which will be reviewed on a regular basis.